I was at Etsy FP with RawArtLetterPress's Treasury! Thank you very much! I just learn from my friends that I was at Etsy FP this morning! The best news is this treasury was made by my new Friend Colette-RawArtLetterPress ! I met with Colette through Gullist. 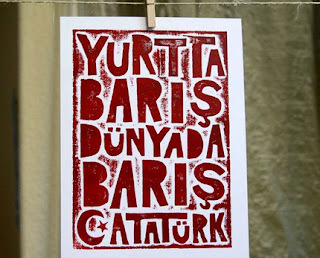 She created Ataturk's very famous word with her style.